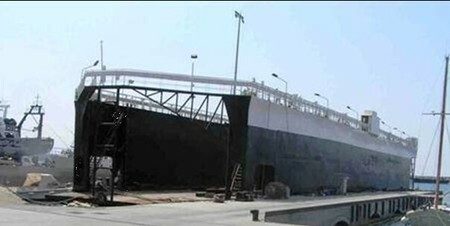 800 ton lifting capacity dry dock. Built by the Greek Navy. LENGTH: 255 FT. / 77.78 MT. BEAM: 50 FT. / 15.25 MT.